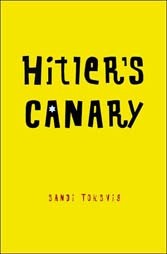 These yellow covers of 2007 titles catch attention with one centered image and for two of them, very subtle title text. 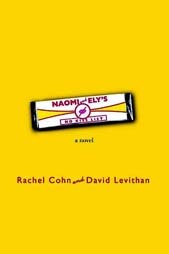 Betwixt by Tara Bray Smith (Little, Brown), Naomi and Ely’s No Kiss List by Rachel Cohn and David Levithan (Knopf- Jacket art c2007 by Michael Storrings. 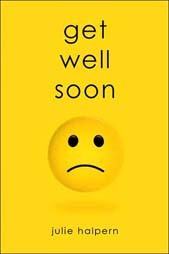 ), and by Get Well Soon by Julie Halpern (Feiwel & Friends), and Schooled by Gordon Korman (Hyperion – Jacket design by Ellice M. Lee. Jacket photographs, front to back: cRoyalty-Free/Hemera Technologies/Jupiter Images; cRoyalty-Free/Comstock Images/Jupiter Images). Most of these titles are for older teens. 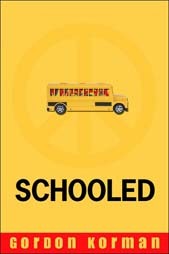 Is there something about this bright yellow that designers think will work for teens? Does it? Also, notice that each title comes from a different publisher. Is there a quota? 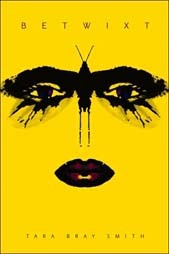 Are designers allowed one yellow book a year? 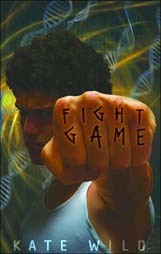 Two new books feature fists. 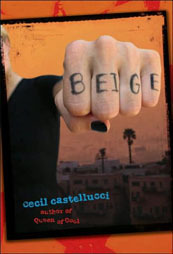 Cecil Castellucci’s Beige (Candlewick 2007) and Kate Wild’s Fight Game (Scholastic 2007). Both designers opted to show the title in letters written on the hands. The fist coming out at the viewer makes an impact. You want to know who the fist is aimed at and why. Does the fist truly represent the story within?